Purdue President Mitch Daniels talks with reporters about his plan to freeze tuition and most fees for two years on the West Lafayette campus. 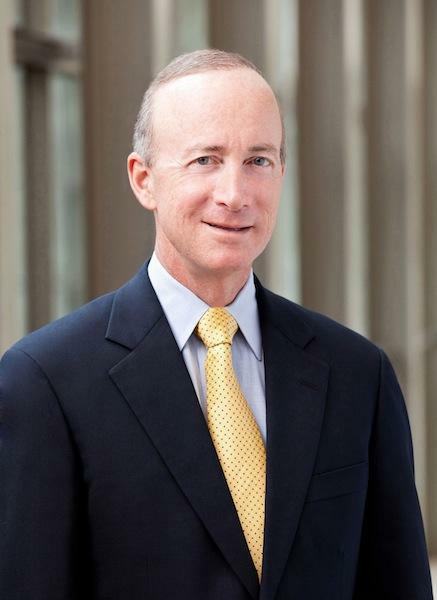 Purdue President Mitch Daniels wants to freeze tuition and most fees the next two years for students on the West Lafayette campus. He does not expect across-the-board budget cuts to manage the impact of the freeze, but hopes to find a more strategic way to bring down spending and still preserve the core mission of the university. The Board of Trustees must still vote on the plan, likely at its meeting in May. Purdue students on the West Lafayette campus likely won’t see an increase in tuition this fall or the year after. President Mitch Daniels announced his intentions to freeze tuition and most fees at the current levels for the next two years. The two that will go up are the student activity and student fitness and wellness fees, which were already approved. That means an in-state student will pay just under $10,000 per year, non-residents about $28,800, and international students $30,800. The state Budget Committee is getting a recommendation to invest more money in Purdue and other Indiana colleges and universities. The Commission for Higher Education wants the General Assembly to allocate an additional $255-million in the next budget for those schools. Purdue acting President Tim Sands says that is important to keep tuition cost from rising and make up for previous cuts.